In comedy, there’s a fine line between hilarious and annoying. It’s a line The Lego Batman Movie tiptoes on from its very first minute as the jokes begin to fly over the studio logos. It’s a surprising way to start, doesn’t entirely work, and sets the standard for everything to follow. Directed by Chris McKay, The Lego Batman Movie is the first spinoff of 2014's brilliant The Lego Movie. 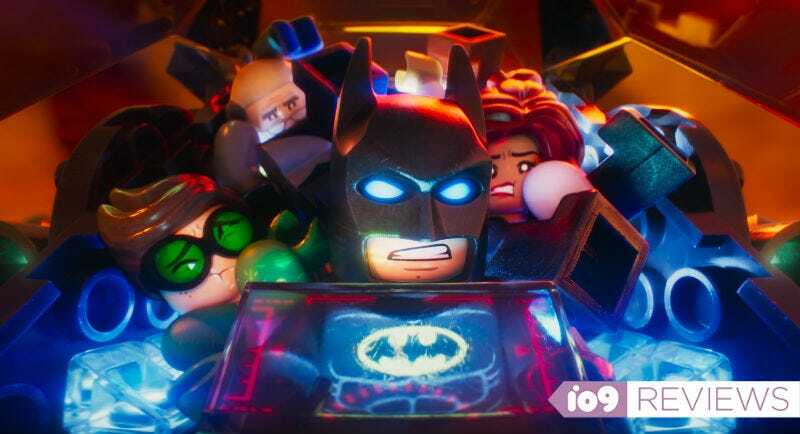 It follows one of that film’s breakout side characters, Batman (voiced by Will Arnett) on his own adventures in a Lego-based world. He’s the savior and toast of Gotham City but when the Joker comes up with a wild new plan, Batman has to do something he never thought he’d do—work with others. Part of the reason why The Lego Movie was so good was its infinite possibility. Any character, any joke, any world could pop up at any time. With Lego Batman, those possibilities are automatically limited because we’re following one character in one world. That means lots of the crazy “Lego-ness” (for lack of a better word) of the original movie is diminished. The cross-pollination of brands is present but significantly dialed back. Characters using their imaginations to create unique creations happens, but it’s mostly an afterthought. What The Lego Batman Movie does have is a non-stop barrage of jokes, ranging from low-brow to subtle genius. And they never, ever stop. You’d think an abundance of jokes in a comedy would be a good thing. But when nearly every single line of a film is a joke, it’s inevitable that the majority aren’t going to work, and that’s certainly the case with The Lego Batman Movie. As the jokes keep coming and coming there are certainly laughs (one Suicide Squad joke stands out in particular), but they’re interspersed with cringe-worthy misses (count the jokes about Batman’s abs), creating a very awkward tone. Another thing The Lego Batman Movie has too much of is characters. The original Lego Movie had its share, but they each played a role in the story. This constantly floods the screen with every single DC character they can think of, but for no other reason that to get them on screen. It was fun to see them, but they draw focus away from the actual story. For instance: The reveal of Joker’s master plan to finally defeat Batman should be a huge moment, and one of the highlights of the whole movie. But between the cameos and the jokes, it’s significantly undercut. This is a shame because buried in all the chaos is one of the most interesting explorations of Batman as a character, ever. Seriously! Even the best live-action Batman films have never portrayed the character like this: a mean, selfish, confident loner who rejects any and all connections. When the film really starts to dig into these aspects of the character, things begin to click. 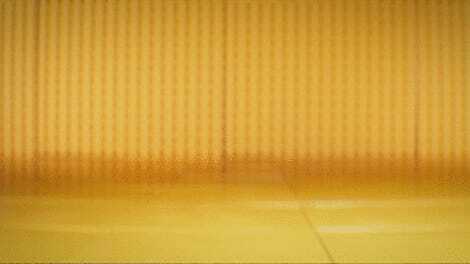 However, almost on cue, those moments are punctuated, and often overshadowed, by the irreverent comedy. The quiet moments actually feel wrong because they’re so few and far between. And like everything else, the film pushes these negative aspects of Batman’s character way too far. Of course, him learning about his flaws and changing is the entire point of the movie but it doesn’t help that for a good chunk of the runtime, you’d rather spend time with the 15 random characters that just popped up on the screen than your hero. Most of those supporting characters are great, though. Michael Cera’s Robin is the ideal Lego character, voiced and animated with a vibrant enthusiasm. Rosario Dawson’s Barbara Gordon is a capable foil for Batman who feels more heroic in her limited screen time than Batman is for the entirety of the movie. Plus, the animation is outstanding—the three years since the release of The Lego Movie have seen these animation techniques improve in leaps and bounds. But all the good stuff The Lego Batman Movie has, which is a fair amount, still can’t make up for its lack of cohesion. The movie is always trying way too hard to be cool and funny, and the result is that it’s not particularly either. It feels like McKay and his team simply couldn’t help themselves and threw the kitchen sink ar the screen. Some of that works, but a lot doesn’t. And the result is a fine but mostly disappointing follow-up to The Lego Movie.